Shornhelm is built on the foothills of the Kurallian Mountains. The land surrounding Shornhelm is ridged, with steep hills and hidden vales in the region known as the Eyebright Feld. But the land also has various old ruins, even the Old Shornhelm Ruins in the southeast, near the trading town of Hoarfrost Downs. The outskirts contain farmlands, as seen with the Hinault Farm, a very prominent piece of property. 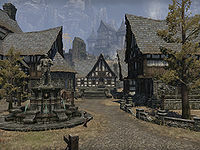 Down the road is the fortified stronghold of Oldgate, which connects Rivenspire to the region of Stormhaven. To the west lies the rest of the Eyebright Feld, and the territory of House Ravenwatch, who reside in the town of Crestshade. Hidden in the nearby King's Guard Mountains is the Silverhoof Vale, the home of the Redguard horsemen. They were among the Ra Gada of Akos Kasaz, but went further north, into Rivenspire. The ruins of Traitor's Tor is found just east of the city. Shornhelm is neighbored by several settlements, including Markwasten Moor to the southeast, Old Gate to the northeast, and White Haven to the west. Shornhelm is a walled-off settlement, split into two districts. Lower Shornhelm is where most people live in the city-state. The town square is found just north of the main gate, the southern gate. The local inn, the Dead Wolf Inn is found here, along with various merchants. North of here lies various homes and the local Temple of the Divines. To the west lies the local Mages Guild, which is uniquely governed by a group called the Council of Three. To the east is the smithy hall, as well as the Fighters Guild. Most artisans can be found here in Shornhelm. The sewers in Shornhelm are intertwined with each other, like a honeycomb of pocketed cache that connects to every well in Shornhelm but because of age, many of them leak into each other, but one cistern, known as the master source, which brings water from an underground river, on a larger scale. The water here eventually goes out to the other wells in Shornhelm. In Upper Shornhelm lies the nobles district, as well as, Castle Shornhelm. The City Barracks, as well as, the Montclair Mansion can be found here. Behind Castle Shornhelm is the Fevered Mews, a clearing in the Kurallian Mountains. Shornhelm's founding is unknown, but the Shornhelm heights are known to have a long and storied history. The city's earliest mention dates back to the Battle of Glenumbria Moors in 1E 480, where the settlement was present in the conflict against the Alessian Order. An event that is often recounted in Rivenspire is the Charge of the Shornhelm Knights, which consisted of knights of House Montclair. In the late years of the Thrassian Plague, the nobility and merchant class of Shornhelm would quarantine themselves from the rest of the city, taking refuge in the Fevered Mews for five months. They returned to find Rivenspire essentially devoid of people. In the 24th century of the First Era, the royal House Dorell of Northpoint had held the monarchy of Rivenspire for several generations in Shornhelm. In 2E 431, the territory of Orsinium, recognized during the Akaviri Potentate, was sacked by the Bretons of Shornhelm. This was following the death of Potentate Savirien-Chorak. Among the greatest monarchs to rule over Shornhelm, following the death of the Reman Dynasty, was King Hurlburt of House Branquette, who led the armies of Rivenspire at the Battle of Granden Tor in the mid-Second Era. 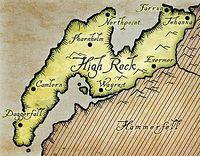 Following an invasion from Durcorach in 2E 542, the Kings of High Rock would come together to form the first Daggerfall Covenant, the Kingdom of Shornhelm was brought into the alliance. King Hurlburt ruled over Rivenspire from 2E 522, until his death in 2E 546. With his death, his youngest son and legitimate heir, Phylgeon Montclair would inherit the throne at the age of fourteen, with support from House Montclair. All the while, the Houses of Branquette and Tamrith would show support for the heir's older half-brother, Ranser. And thus began a trial on which of the brothers would reign over Rivenspire from Shornhelm. A codicil from the well-known, Bretonnick Natalitie declares that Howse Mount Clayre was indeed the royal house of Shornhelm. This would be used in Phylgeon's defense. But while the Council of the North were discussing the various claimants, the codicil had disappeared. All the while, King Ranser would bring a lengthy and long-lost decree from the Direnni Hegemony that states that House Branquette are the royal delegates of Rivenspire. In the end, the Council voted that Ranser was to be named the King of Rivenspire. Prince Phylgeon would not continue his fight for the crown, and would instead become the Baron of Montclair. King Ranser of Rivenspire was known for his hot-headed temper and brutal reign. In 2E 563, Earl Emeric of Cumberland was named the King of Wayrest and was looking for a wife to rule by his side. At first, Emeric chose Princess Rayelle, daughter of Ranser, but instead chose Princess Maraya of Sentinel, which led to the formation of the second Daggerfall Covenant and the incorporation of the High Kingship of Hammerfell into the alliance. This choice had enraged King Ranser and prompted him to wage war with High King Emeric, and the Daggerfall Covenant. This conflict would become known as Ranser's War, and it began with a siege on Wayrest in 2E 566. King Ranser would gather the great Houses of Rivenspire to arms, while Baron Phylgeon attempting to serve as a peace envoy for both sides. While Emeric's response was lost to time, Ranser had angrily refused. But the Covenant were able to repel the attack and advance onto Rivenspire. King Emeric's forces were pushing Ranser's armies back into Rivenspire, all the while, the city of Shornhelm was set ablaze by Emeric's new allies, the Orcs of Orsinium, under the command of Kurog gro-Bagrakh. 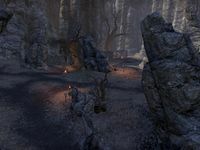 Ranser's armies were overwhelmed by both Orsimer and the Covenant at the Battle of Markwasten Moor, but the very few in Ranser's forces had fled to an unmarked location in the region of Westmark Moor, where he would eventually fall in battle and the site became known as Traitor's Tor. The death of King Ranser was considered the end of the Branquette lineage in Shornhelm. And with the lack of a monarch, the triumvirate in Council of the North (Countess Eselde Tamrith, Baron Alard Dorell, and Baron Wylon Montclair) would govern over the region of Rivenspire, from Shornhelm. During the Interregnum in 2E 582, a house historian of the Montclair had found the Bretonnick Codicil, and with the line "... seeing all in order then in Sharn Helm and its Lands Contyguous, the most royale and high … (unintelligible) … appointeth in Perpetuitie sayde Howse Mount Clayre in rulership over ... (unintelligible) … and Sharn Helm. So mote it bee," Baron Wylon Montclair would begin an initiative and forcefully take over the Kingdom of Rivenspire. Baron Montclair's first step was to annex Upper Shornhelm and hold nobles captive. High King Emeric and his Lion Guard would come into Rivenspire, to help the council deal with the situation. Emeric had sent an Agent of the Covenant to infiltrate the upper district, and liberate the area. With the help of Count Verandis Ravenwatch, the Montclair's control over Shornhelm was over, and conflict against the Royal House would transpire across Rivenspire. House Tamrith would lead the battle against Wylon's advisor, Reezal-Jul. Emperor Uriel Septim IV of the Third Empire had a difficult reign due to his lineage, constantly at odds with the Elder Council. He was the son of Empress Katariah and the Breton noble, Gallivere Lariat. Both neither directly related to Tiber Septim. He was able to rule because of the previous Emperor, Cassynder Septim, who acknowledged him as family. 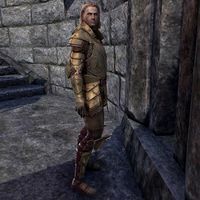 But with his death, his son, Andorak Septim, would naturally ascend to the throne, but the Elder Council had disinherited it from him, and his cousin, Cephorus Septim II would become Emperor. But as Andorak would retaliate with conflict, the Elder Council had granted the Kingdom of Shornhelm to Andorak Lariat, where his lineage would rule ever since, as far as 3E 405. During the Imperial Simulacrum in the late Third Era, the city-state of Shornhelm was an active settlement. It was ruled by King Rodore and it had a rivalry with North Point and Wayrest. For game-specific information, see the Arena and Online articles. This page was last modified on 4 April 2019, at 15:09.